The 2017 Plan year was frustrating from the standpoint of significant over-expenditures with not only excesses in numbers of services billed but in many areas, noteworthy in cost per service. Our efforts to understand these cost escalations continue. In our analysis we attempt to balance medical necessity against the ever-present 30 percent waste estimates within the healthcare spend. The waste is defined as expenditures in the healthcare spend that add no improved outcomes. I feel confident we can reduce our approach to the most cost-effective care that achieves the Triple Aim. Understanding what lives within that 30 percent waste estimate will allow us to still operate within the framework of our OHP budget and deliver on the promise to our members. One approach might be to merely preach on the need to cut costs in the coming year. Such a strategy offers no value unless we can supply all of our providers with the tools to achieve our financial endpoints. A better approach worth testing will be to offer our providers data on a topic viewed as an over-expenditure within healthcare and then to provide several approaches on how we can all begin to trim the waste within that expenditure. 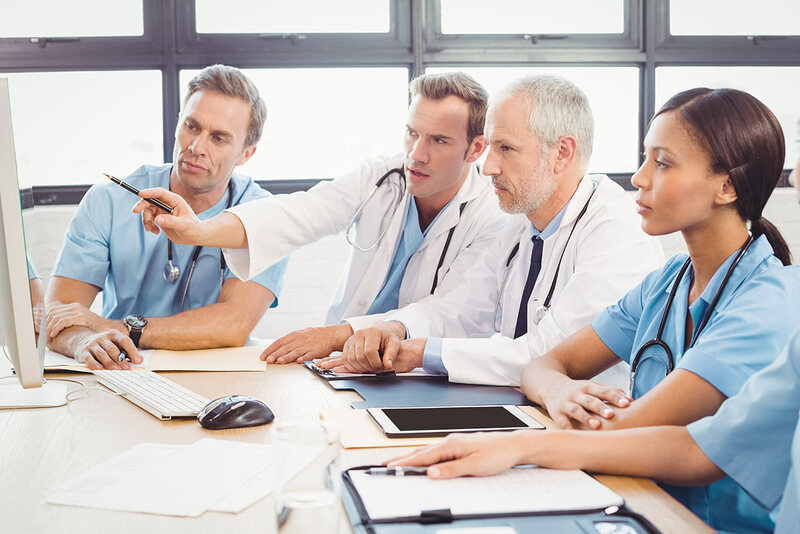 It calls upon leading medical specialty societies and other organizations to identify tests or procedures commonly used in their field whose necessity should be questioned and discussed with patients. Click here to learn more about the campaign in general, click here to find ways to implement the campaign within your practice, and click here to find information on how to implement Choosing Wisely® within the community. One of the most common prior authorizations Umpqua Health Alliance denies is for MRI imaging of the spine and head. The guideline notes that describe the indications for this imaging are readily available. The Oregon Health Plan (OHP) Prioritized list is now in a searchable format, located here. It allows for ICD-10 diagnosis and CPT/HCPC search as well. Diagnostic Guideline D4 describes indications for MRI for low back pain. Diagnostic Guideline D5 describes indications for MRI for headache. Diagnostic D11 describes indications for MRI of the cervical and thoracic spine. What we commonly see is an HPI of symptoms described by the patient, but the physical examination shows no correlating neurologic findings. Too often there is no neurologic exam. The most common scenario is a patient with chronic pain and a provider who is ordering imaging to provide an explanation. All of the experts in the field of chronic pain warn us that unwarranted imaging can make the management of the patient more difficult as it has a fair likelihood of finding an abnormality that should not be treated, but becomes the focus of attention. In the case of low back pain, the importance of cognitive restructuring and physical mobility in managing pain is lost when the focus is on a structural cure. OHP is not unique among payers; most commercial insurers also recognize the effect unnecessary imaging has on our collective ability to pay for needed medical treatment. Our specialty societies have also provided the same criteria through the Choosing Wisely® initiative, which you can view here. 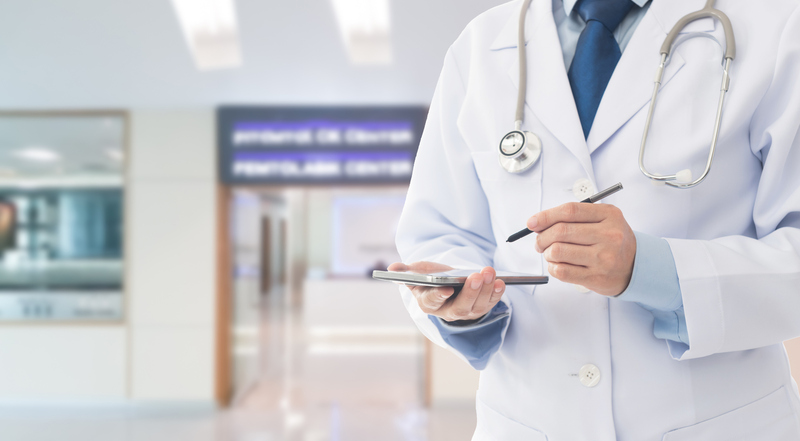 The site also offers a phone app and perhaps most importantly, printable sheets for patients that are developed with Consumer Reports™ that explain why a test or procedure is not advised. 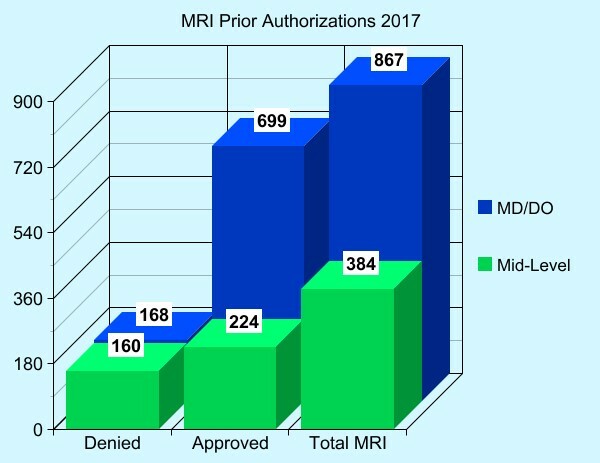 Of the 1251 non-emergent MRI exams reviewed by Prior Authorization, more were ordered by PCPs and of those 867 requested, 168 (19%) were denied as not meeting guideline criteria. Those studies ordered by NPs and PAs (384) were denied almost half of the time (42%) as not meeting medical necessity. These data point to the significant cost of the PA process and an excess in the number of studies requested. 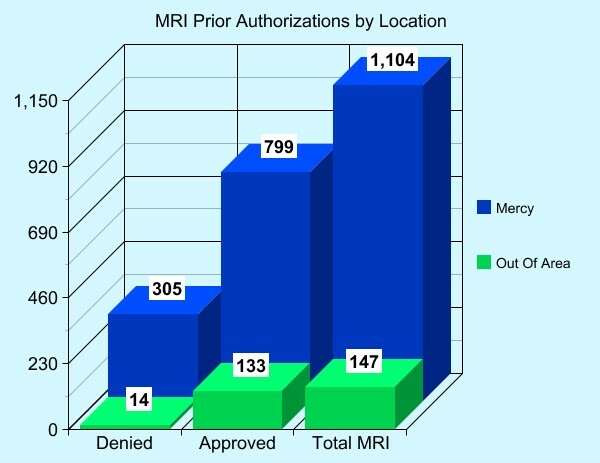 Of the 1251 non-emergent MRIs, providers within Douglas County ordered 1104. A PCP or Mid-level provider ordered most of the studies. 27% of the studies were denied for lack of medical necessity. Specialty physicians ordered most of the out-of-area MRIs. Of those 147 exams, only 9.5% (14 exams) were denied. Healthcare is a world of acronyms, and one that is thrown around regularly is CCO. But what exactly is a CCO? A Coordinated Care Organization, or CCO, is a network of many different types of providers (physical, mental and dental health providers) who work together to care for people on the Oregon Health Plan (Medicaid). The idea behind CCOs is simple: coordinate services for patients across all aspects of healthcare by breaking down the silos in service. This team approach makes healthcare easier for patients, and less expensive for the state. Umpqua Health Alliance is the CCO that covers most of Douglas County. UHA provides care for about 26,000 individuals receiving health care coverage through Medicare, with an aim to expand access, improve care and reduce waste. While UHA is focused on primary care, the CCO also believes that members are best served by preventive practices. This notion is the driving force behind UHA’s work in upstream health and wellness initiatives, and community engagement efforts. UHA is governed by a partnership among providers, community members and stakeholders in the Douglas County health system. UHA is a Roseburg-based company, owned by Catholic Health Initiatives (CHI) Mercy Medical Center, Inc. and Douglas Individual Practice Association, Inc. (DCIPA). Performance is measured through an aligned, consistent measure set known as metrics. These outcome and quality metrics measure how UHA and all of Oregon’s 15 CCOs are improving care, making quality care more accessible, and lowering healthcare costs. The metrics change every year, and allow for UHA to provide incentives for quality-based outcomes instead of volume-based fees. At the heart of the CCO model is a robust primary care system that supports both an effective primary care infrastructure and the provision of high-quality primary and preventive services. The CCO model allows UHA to better manage chronic conditions, and keep people healthy and out of the emergency department. If you have any questions about Umpqua Health Alliance or the CCO model in general, please email us. The Oregon Health Plan (OHP) is the only Medicaid program in the nation that uses “prioritization” (i.e., rationing) to define its benefit package. Begun in 1994 under a waiver of traditional Medicaid rules, its current list of health services contains 660 medical conditions/treatment pairs ranked either by clinical effectiveness or subjective assessment of their social benefit. The Oregon legislature votes each biennium on the program’s funding, using an actuary’s estimate of the cost of providing each of the listed services. In effect, the legislature’s funding decision draws a line – those services “above the line” are covered and those below are not. Currently, 469 conditions/pairs are covered. The CMS, which administers the Medicaid program, must approve all changes to the list and benefit reductions. OHP covers just under 1 Million people, or 25% of the population. With the expansion of Medicaid in 2014, less than 7% of Oregonians are uninsured. The fiscal trade-off for covering more people is limiting the medical services that they could receive. To do this, OHP legislation requires the Health Evidence Review Commission (HERC includes five practicing physicians) to create a prioritized list of all diagnoses and their treatments (referred to as “condition/treatment pairs”) available in the state. The commission is directed to rank these pairs according to their clinical effectiveness and cost, and is then permitted to raise or lower a specific pair’s ranking based on a subjective assessment of social value. Actuaries then estimate how many enrollees would need each service and how much it would cost OHP to provide. Using this information, the legislature votes on how much of the list to fund. By law, it can fund services only in numerical order, and cannot change the order of the list. Every two years, the HERC updates the list and the legislature adjusts OHP’s funding level. Interim changes to the Prioritized List occur in January, May and October. The rankings emphasize prevention, patient education, and services for women and children, reflecting the original Medicaid population. In general, services that prevent illness are nearer the beginning of the list (and thus more likely to be legislatively funded) than services that treat an illness after it occurs. Unlike some commercial insurers (and even Medicare), OHP covers dental, mental health and substance abuse services. 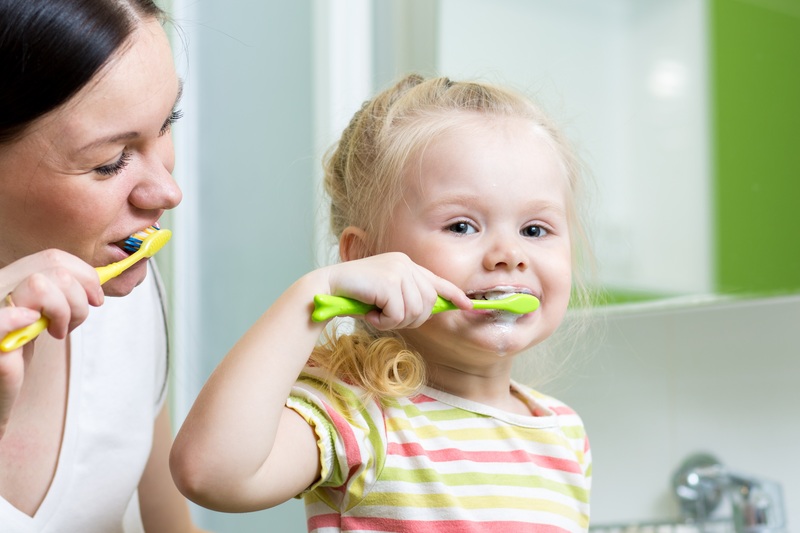 Dental services and vision services for children and some adults. The Oregon Health Plan does not cover treatment for conditions that get better on their own, cosmetic surgery, or treatments that are of unproven benefit. However, because of the nature of the rationing, some conditions that have perfectly acceptable treatments are not covered. Umpqua Health Alliance is given an annual amount by the state to cover the treatment for the roughly 26,000 OHP members in Douglas County. We must follow OHP regulations and ensure the money covers all of the medical care allowed by law. Does the Dx and CPT pair? If Guideline Note(s) mentioned, check criteria! Dx is non-funded; Many of these are possibly funded conditions, but a non-specific/generic or inaccurate Dx code is submitted. This is likely to affect the approval of Physical Therapy and Chiropractic PA/claims, and procedures and surgery. No documentation attached or EMR references provided to support the request. If you have any questions about the Prioritized List, click here to contact UHA’s Medical Director Dr. Doug Carr, MD. 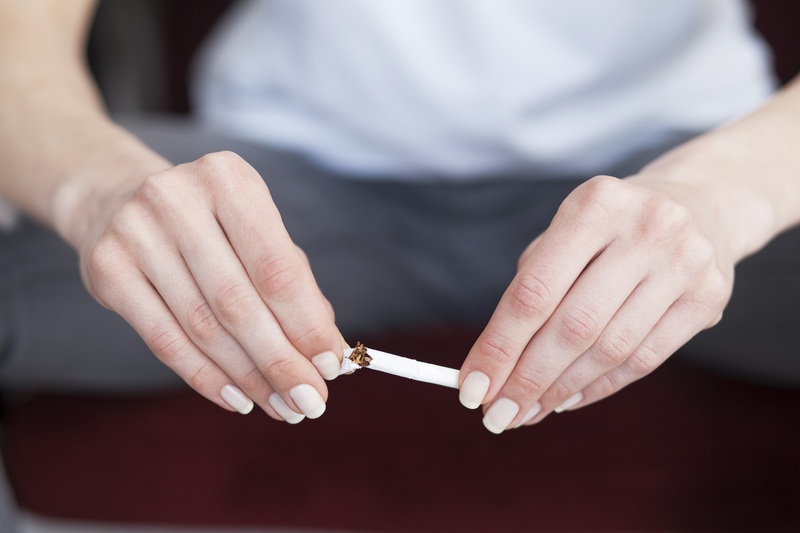 Quit For Life® includes an easy-to-use workbook that helps participants stick to their plan, 24/7 phone, online and text support and, if necessary, nicotine replacement therapy, all at no cost to Oregon Health Plan members. To learn more about Quit For Life®, contact our Member Services team, or click here. Umpqua Health Alliance is a proud sponsor of an upcoming summit surrounding resiliency. The 2018 Resilience Summit will take place April 25 at Seven Feathers Convention Center. The event strives to bring health, education, and social service partners together to learn about incorporating trauma-informed practices into their work. UHA recognizes that Adverse Childhood Experiences are one of the greatest indicators of lifelong health. Not only are Medicaid members reporting a 14 percent higher ACEs score, but according to the Oregon Health Authority, 40 percent of Umpqua Health Alliance members report four or more adverse childhood experiences, the highest percentage out of any Coordinated Care Organization. In order to truly provide whole services, a provider must understand and address their patients’ needs. This is especially true in regards to trauma: studies show that ACEs determine the likelihood of the 10 most common causes of death, and people with six or more ACEs died nearly 20 years earlier on average than those without ACEs. 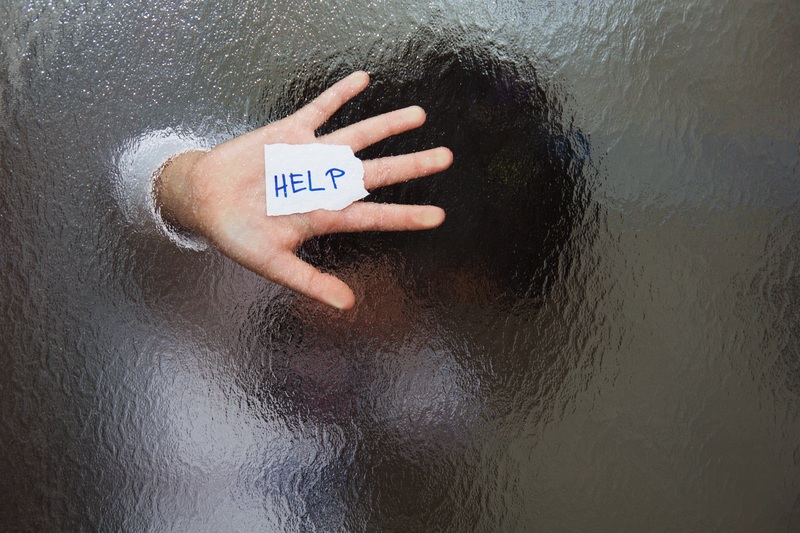 While the medical community is aware of ACEs, what hasn’t been talked about as much is how to incorporate trauma informed care into the medical practice setting. That’s why UHA is working with several local agencies to present the 2018 Resilience Summit. The summit will review ACEs and trauma informed care, as well as explore how to incorporate these methods into daily work. Continuing education units are available. For more information on the 2018 Resilience Summit, contact Kat Cooper. Due to winter weather conditions, Umpqua Health’s offices and clinics will be closed all day on Tuesday, February 26. We hope to open offices and clinics on Wednesday, February 27. Updates will be made to the website as conditions are evaluated.